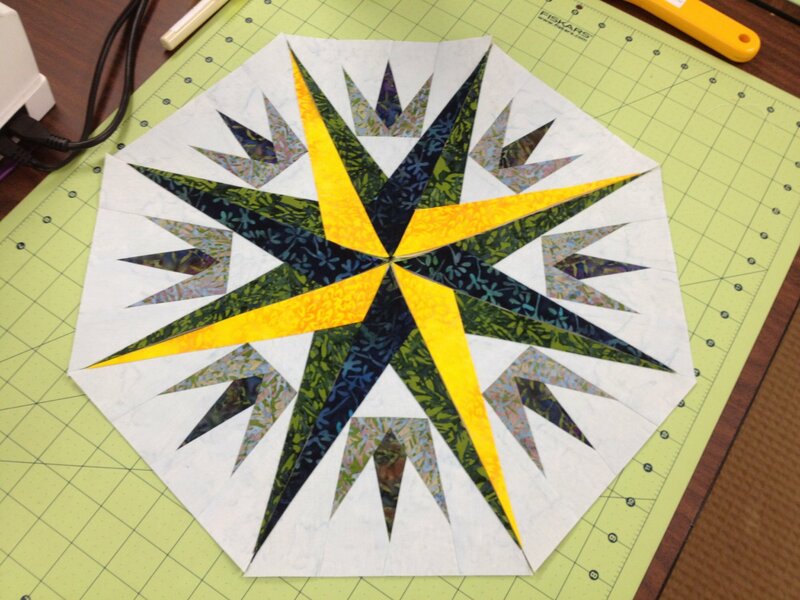 Mariner’s Compass…Judy Niemeyer’s second Technique of the Month (TOM). 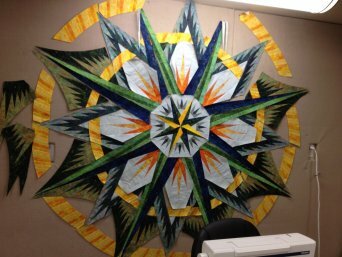 This quilt was completed during the summer and fall of 2012 during my certification process to become a Certified Instructor. 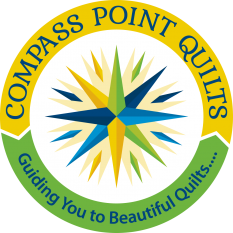 The pattern was released in January 2013 and will be available through Certified Instructors and Certified Shops. 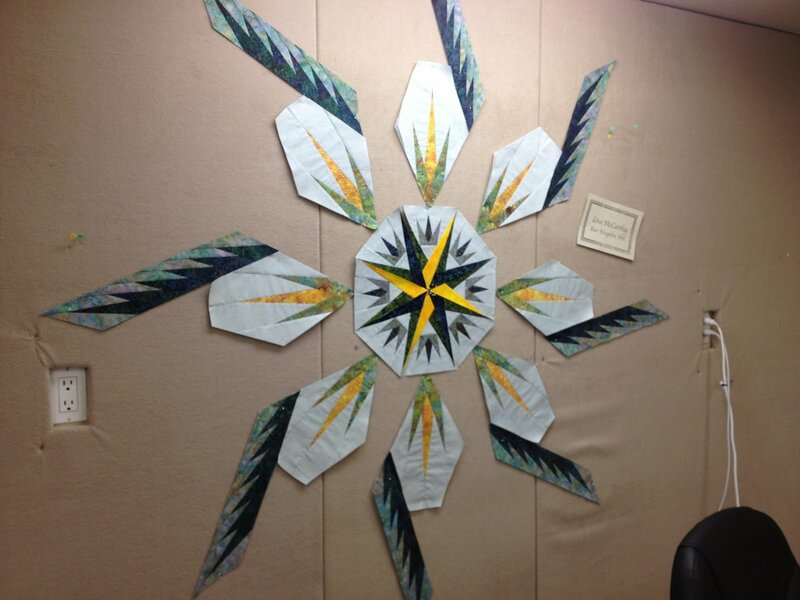 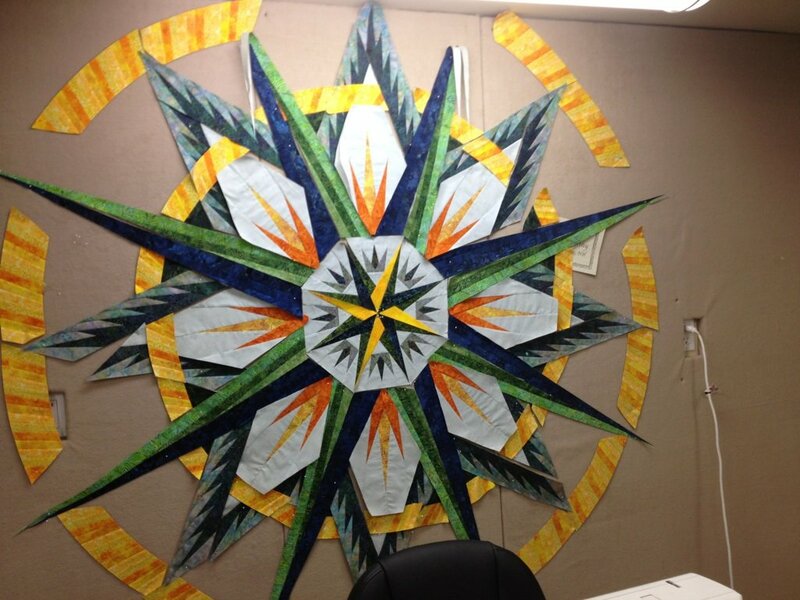 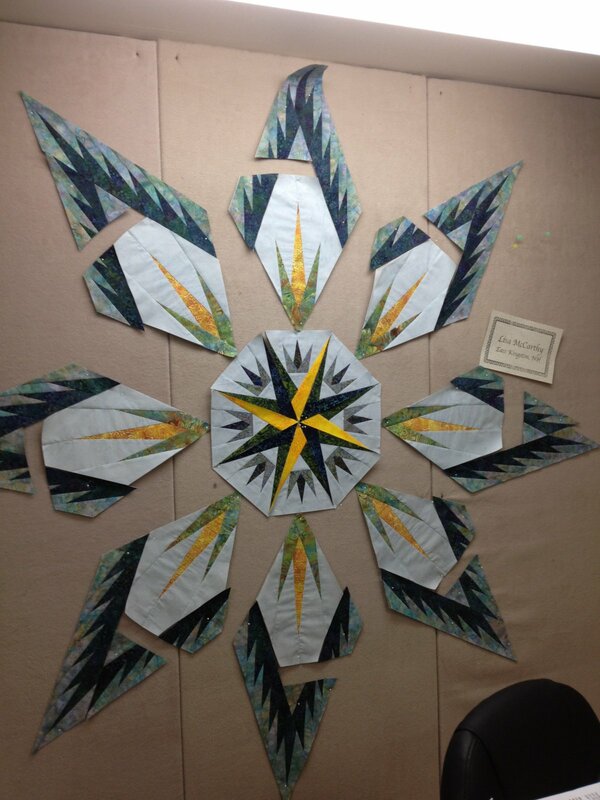 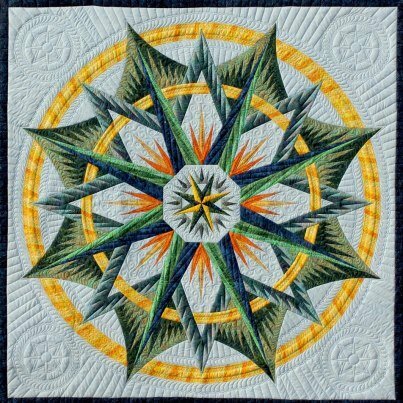 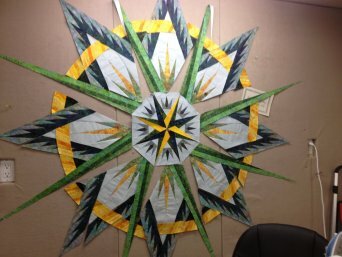 This pattern includes the center compass, spokes, feathered star, sail, rope and spike units. 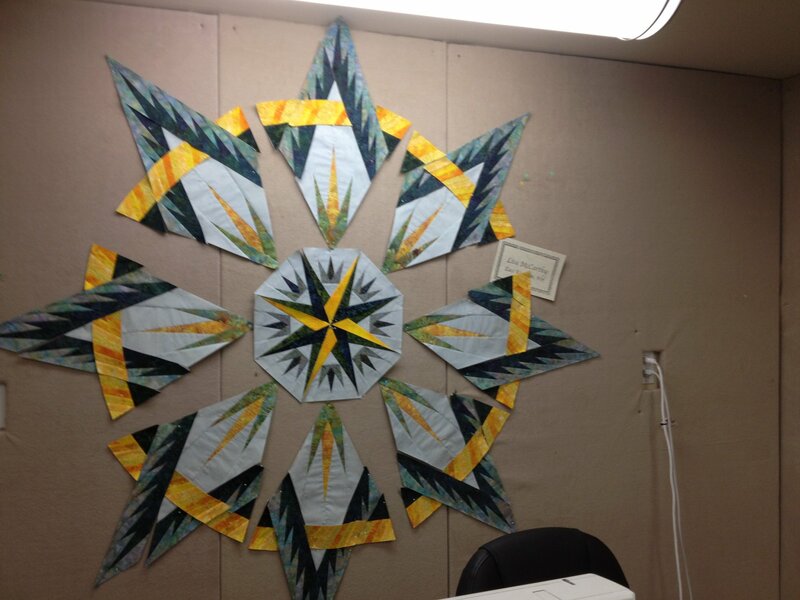 The quilt goes together without “Y” seams which I know will make many quilters happy!! 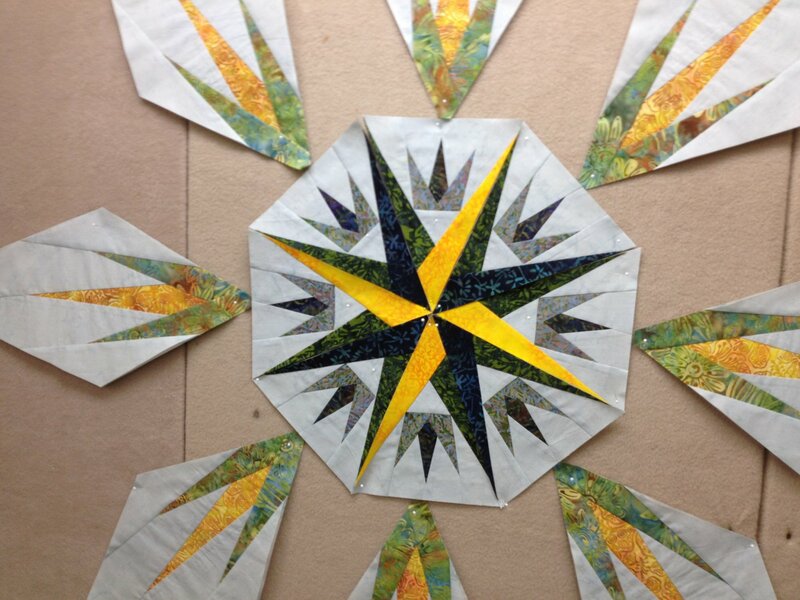 The incredible quilting was designed and quilted by Carrie Zizza of It’s A Zizza Long Arm Quilting in Amesbury, MA.